With smart styles and excellent construction built to order, Merillat Express™ ships in an incredible five days. When timing is priority Merillat Express™ has the speed you need. Get your hands on the perfect handles, knobs and pulls. Cabinet accessories to organize your kitchen and simplify your life. It's easy to keep our cabinets looking like new . There’s Merillat dealer or showroom near you. 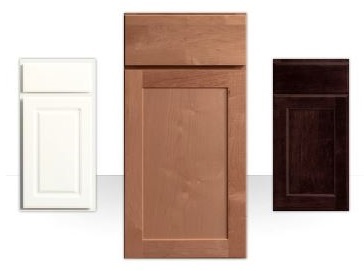 The Merillat Express™ product line offers six popular door styles in just five days. Merillat Express™ features four different wood types: Maple, Oak, Hardwood, and Thermofoil. Merillat Express™ is available in 20 finish colors including five glazes and five ascents. Merillat Express™ cabinetry is built with 3/8’’ thick engineered wood End Panels(wall and base), 3/4’’ thick shelves, and Drawer Boxes that have 1/2’’ thick industrial grade engineer rabbited wood sides (Optional 3/4’’ Solid Wood, Dovetail). Merillat Express™ has all the organizational and storage options that a kitchen and bath demand.